Many new cars are available but still classic cars never lose their charms. Lots of people love collecting these old fellows since each car has unique value, appearance and history. Due to the car condition, the price of a classic car can be very high or otherwise very low. Most collectors already realize the importance of carefully caring for classic vehicles. The better performance of your classic car, the higher the price will be in the market. Now the big question is; how to improve the value of a classic car? 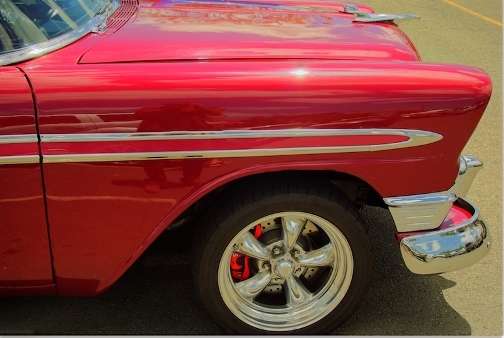 Custom detailing is one of the most effective solutions to make your classic car shine again like new. A classic car is a unique asset that’s why it needs customized detailing services. It is not a DIY project; you should choose an auto detailing shop with broad experience and skills in cleaning and caring classic vehicles. If you live in and around the Treasure Valley, Boise Idaho, you can go to an auto detailing specialty shop that focuses in vehicle reconditioning such as Buff Guy Auto Detailing. They can handle detailing needs for different luxury vehicles include motorcycles, cars, trucks, RVs, boats, semi trucks and trailers. Moreover, they are able to restore classic car’s finishes; a kind of specific service that you search for! Restoring older vehicles is definitely a challenging job. Lots of possible problems might happen during the restoration. No wonder if only skilled and experienced professionals who capable of making your classic car – as close as possible- looks like its original condition. Before choosing a custom detailing service, it would be better to know first whatever you might obtain from a full auto detailing service. Exterior detailing usually includes paint care and protection; chassis and wheels cleaning; headlights, taillights and exterior trim cleaning. According to the surface type and condition of the visible components on the vehicle exterior, the cleaning and restoring process involves different techniques such washing, polishing, waxing along with applied products, equipment and tools. Interior detailing refers to a deep cleaning of the entire interior cabin; thus it should include upholstery cleaning, rug cleaning, leather cleaning and protection. Interior cabin contains a variety of used materials such as leather, vinyl, plastics, carbon fiber composites and others. Different material might need different cleaning techniques, tools and products. Last but not least, engine cleaning should be an important element of offered auto detailing services. Engine that cleaned properly will function at its top performance, right? During the restoration, classic cars might require added treatments that not yet mentioned above. In this case, only people at specialty auto detailing shops who know what to do to make your car looks at its best. So, be careful in finding the right auto detailing service as it will determine the result that you might get in the end.